The way Remote Apps are managed using Remote Desktop Services in Windows Server 2012 has changed a lot compared to Windows Server 2008 R2. Remember that in Windows Server 2008 (R2) you had to use the MMC snap-in called Remote App Manager on every individual RD Session Host server. The Remote App Manager no longer exists in Windows Server 2012. Management of Remote Apps in Windows Server 2012 has been moved to the central Server Manager console as part of the Remote Desktop Services section. So, instead of having to configure Remote Apps per RD Session Host (either manually or by using the export function) in Windows Server 2008 R2, we can now centrally manage our Remote Apps. The configuration for these Remote Apps will then automatically be pushed to all RD Session Host servers that are members of the Session Collection. This improves manageability a lot. So let’s look at the ways Remote App programs and Desktops can be distributed. 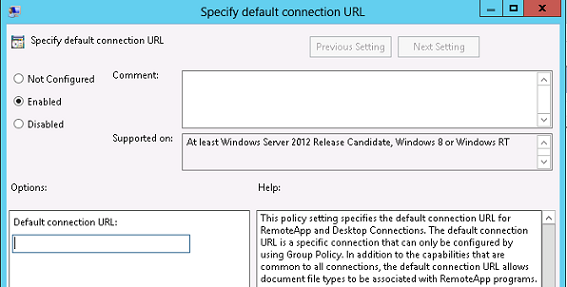 As with Windows Server 2008 R2, Window Server 2012 also has the ability to distribute to RD Web Access. Besides some improvements in RD Web Access, the mechanism stayed the same there. You’re able to assign Remote Apps to users based on Groups per Remote App and per Session Collection (new to Windows Server 2012). In Windows Server 2012, there have been two updates to this way of distribution. 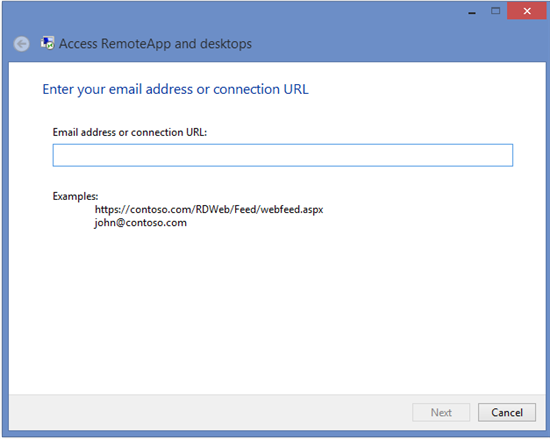 We saw earlier that users were able to connect using the “RemoteApp and Desktop Connection” in the control panel providing a Web Feed URL. This is still possible with Windows Server 2012. In addition to providing a Web Feed URL, Windows Server 2012 and Windows 8 as a client also support providing a corporate e-mail address. This makes the setup more user-friendly as the user can simply provide his e-mail address instead of an unfriendly URL. In addition, the new Remote Desktop App available for Windows 8 has a “metro-style” equivalent, which can be accessed by opening the Remote Desktop App. User Configuration / Administrative Templates / Windows Components / Remote Desktop Services / RemoteApp and Desktop Connections. If you’re using Windows 8 as a client, the Remote Apps and Desktops assigned will be available in the new “Metro-style” start screen as well as inside the Remote Desktop App itself. Windows 7 as a client will obviously still use the same location in the users’ local Start menu. Remote App management in the new Server Manager console does not include functionality to create .RDP or .MSI files per Remote App. The fact that the option is no longer available indicates that Microsoft advises you to use the Web Feed method for all distribution actions. There is, however, a way to extract the .RDP files that the Control Panel generates on the client. 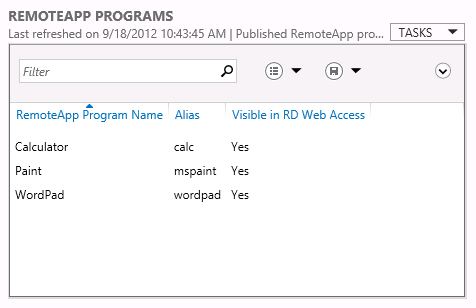 If you would browse to the following path on a client that signed up for Remote Apps you can find those .RDP files.